BERWYN, PA - The Berwyn Fire Company was recently presented with a donation in the amount of $25,000 from Recovery Centers of America (RCA) located in the Devon section of Easttown Township, Chester County. This donation will directly support the fire and emergency medical services that the volunteers and career staff at Berwyn provide to Tredyffrin and Easttown Townships on a daily basis. As a non-profit organization we depend on the generous support of citizens and businesses to operate. Along with municipal support we receive from Tredyffrin Township and Easttown Township and medical billing reimbursement, donations represent a critical component of our income to maintain our service delivery. Berwyn crews responded over 100 times to RCA in delivering emergency services during the past year. A grand total of 922 fire calls and 2,297 EMS calls were handled in 2018, with over 90% of those incidents occurring within the Tredyffrin / Easttown community. 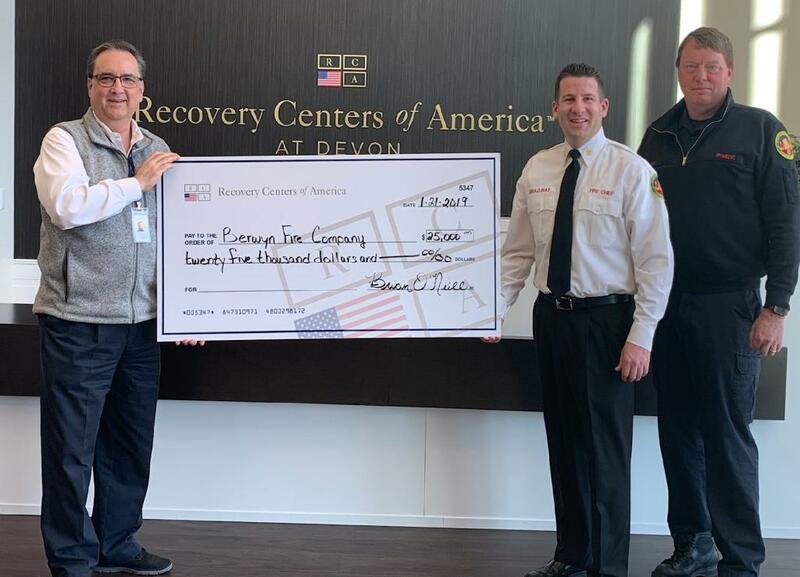 Berwyn Fire Chief Eamon Brazunas and Berwyn ALS Coordinator Todd Taylor were presented with the check by Recovery Centers of America at Devon CEO Steve Wicke. The Berwyn Fire Company greatly appreciates the support of Brian O'Neill, founder and CEO of Recovery Centers of America, and the entire RCA team. 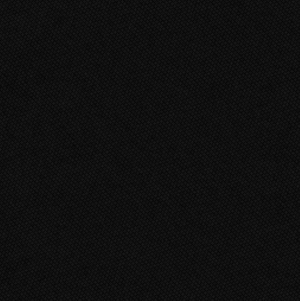 The core mission of RCA is focused on helping those suffering from addiction. Addiction affects people of all ages and lifestyles—posing a range of psychological and physical health challenges. The team at RCA serves individuals dealing with all forms of substance abuse (alcohol and drugs, with a particular focus on opioids) by designing a customized treatment protocol by age and life situation.